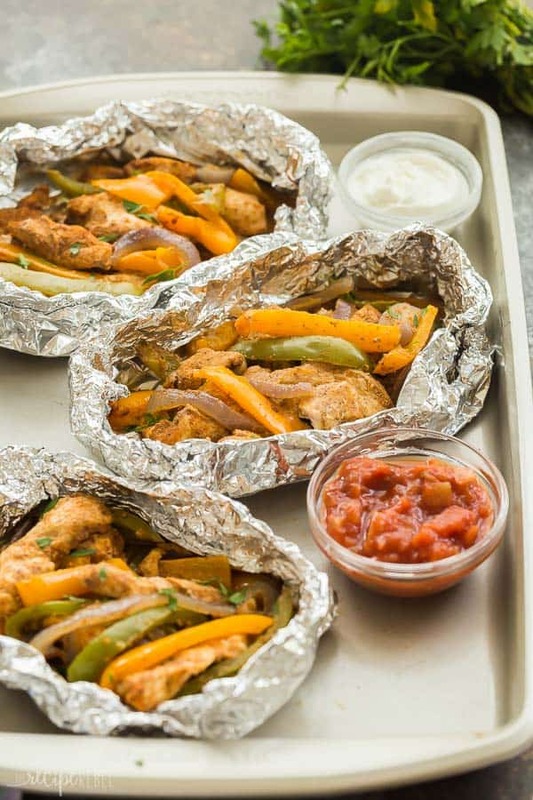 This Chicken Fajita Foil Packets is a family favorite! 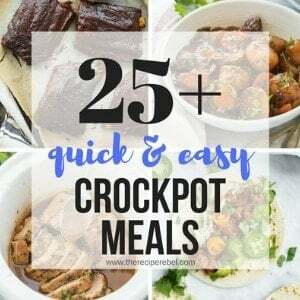 Easy to customize, loaded with chicken, peppers, red onions and a homemade fajita seasoning, and perfect for making ahead for an easy camping meal! 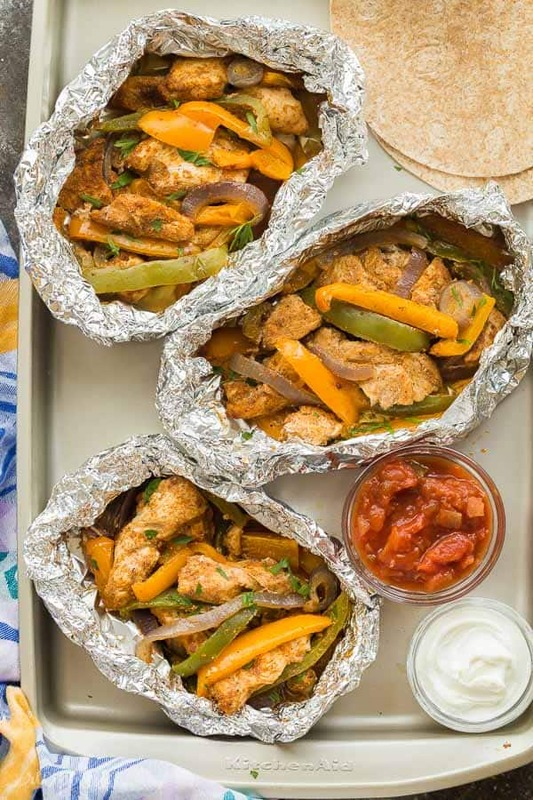 You guys, I am so excited for camping season, and easy camping meals like these Chicken Fajita Foil Packets! 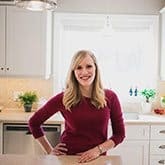 I first shared this recipe on my friend Alyssa’s blog, The Recipe Critic, where I share one recipe every month — she has a ton of other amazing grilling recipes if you’re looking for some! Looking for more camping meals? 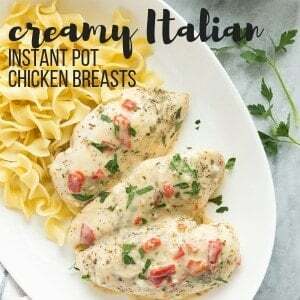 Try these Chicken Parmesan Foil Packets or theseMonterey Chicken Foil Packets! In reality, our camping season is slowing down, with the husband starting to get busy, but I am still holding on for a few more weeks. Let’s be clear though, we do not tent. I am not a tenter. In my previous life, before one baby girl and then two and then three, I could tent relatively happily. But now? With 3 girls 6 and under? It’s just not happening. I’m not doing it. Last summer, though, we bought a camper. And I love it. Our parents are “campers”, and it’s something we both grew up with. For me? It’s the perfect balance between “away from it all” (with lots of outdoor adventures and no reliable internet connections) and comfort (we still have AC, a fridge, a bed, and a hard roof over our heads at night). I am always looking for easy meals to take camping, and foil packets on the grill or the campfire are one of our favorites. 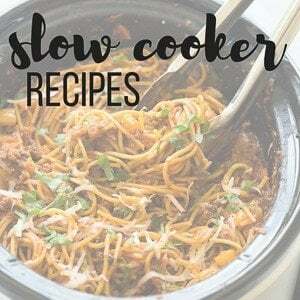 I also love taking the slow cooker for pulled pork or chili, and of course, you’ve gotta have roasted hot dogs at least once every weekend. 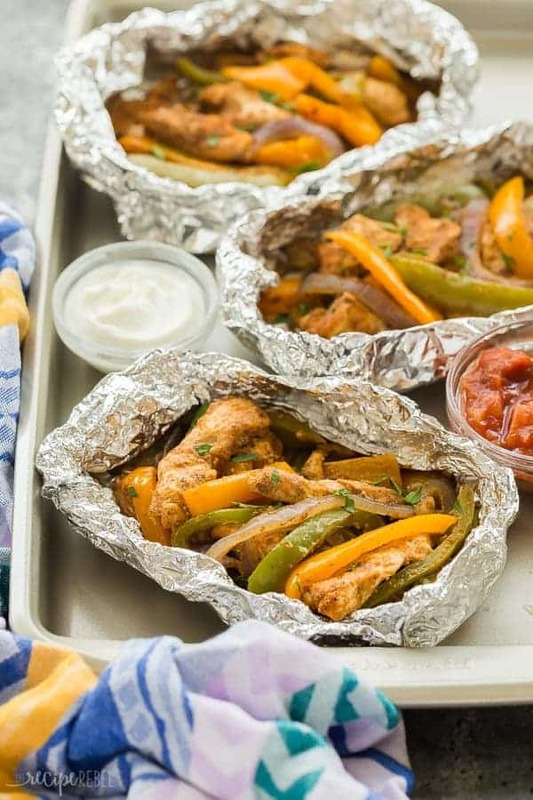 These Fajita Chicken Foil Packets are perfect because everyone can make their own how they want it — they’re easy to customize and easy to make ahead to bring with (in that working fridge we love! Lol). You can go super spicy at all, and you can mix up the veggies to suit your tastes. I love serving fajitas wrapped up in some flour tortillas, but you can serve them over rice for a gluten-free option if you need. Double your foil: we don’t want any leaks! You can make them vegetarian by skipping the chicken and adding extra veggies. You can make them gluten-free by checking all of your ingredients and serving with rice or potatoes or corn tortillas. These chicken fajitas are naturally dairy-free. Place all ingredients (chicken through paprika) in a large bowl. Stir until everything is evenly coated. Place two pieces of tin foil one on top of the other. Spray lightly with non stick spray, and spoon 1/4 of the fajita mixture in the center. Fold and seal packet completely. Repeat 3 times with the remaining fajita mixture to make 4 packets. Place over direct heat on the grill. Cook for 12-15 minutes (for even cooking, rotate once halfway through) until chicken reaches an internal temperature of 165 degrees F.
Serve with tortillas and toppings as desired. These look amazing! Could you also cook these in an oven set to 400 degrees?